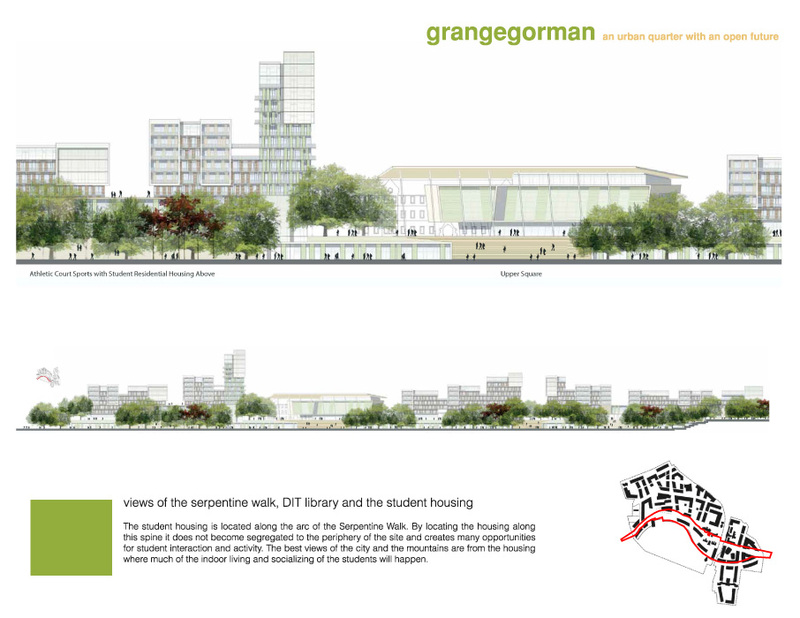 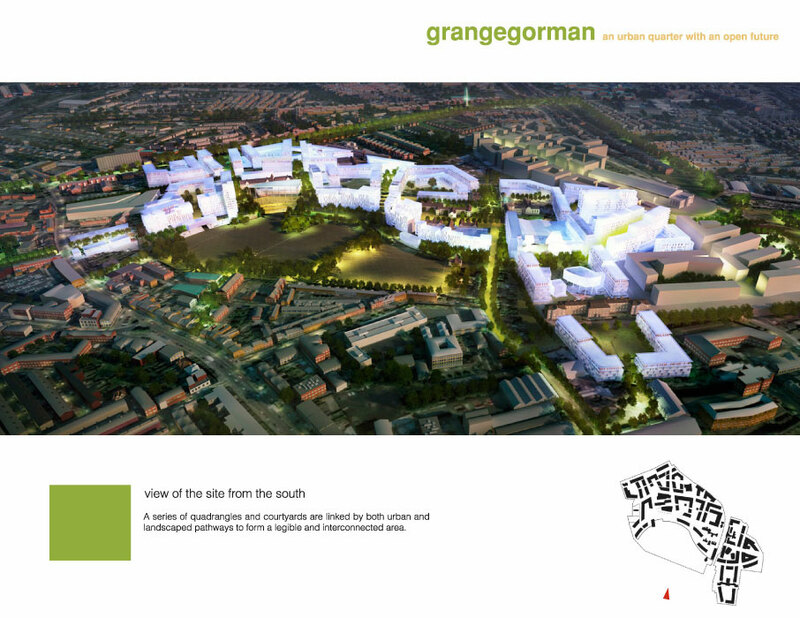 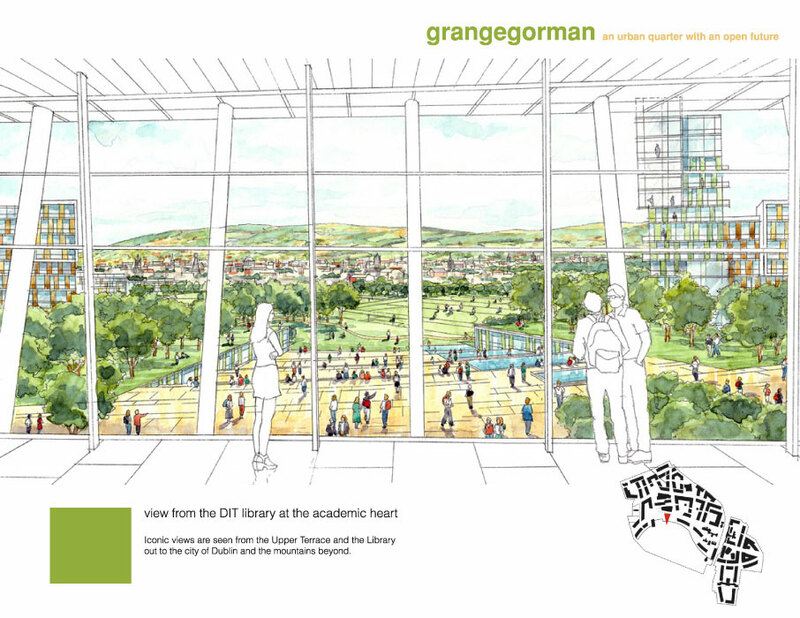 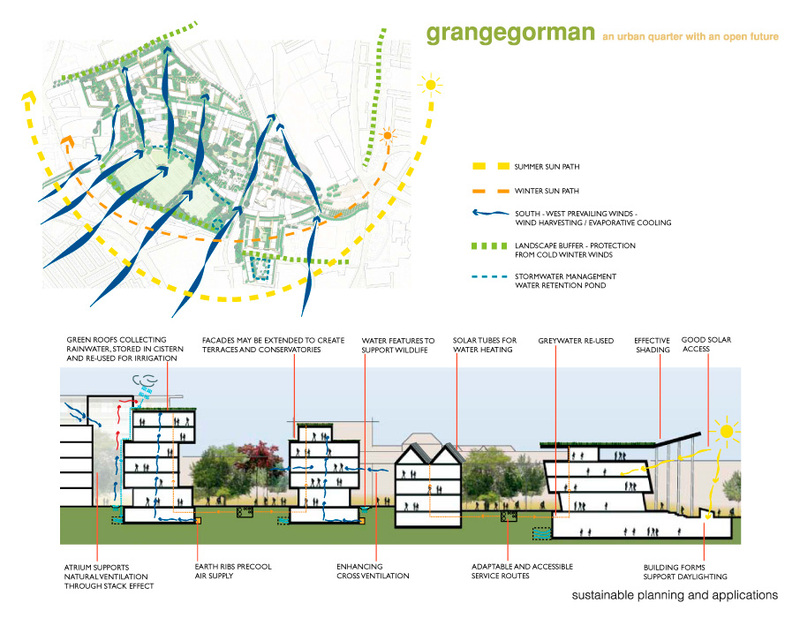 The Grangegorman Masterplan creates a new higher learning campus for Dublin Institute of Technology (DIT) and Irelandâ€™s national health care service (HSE). 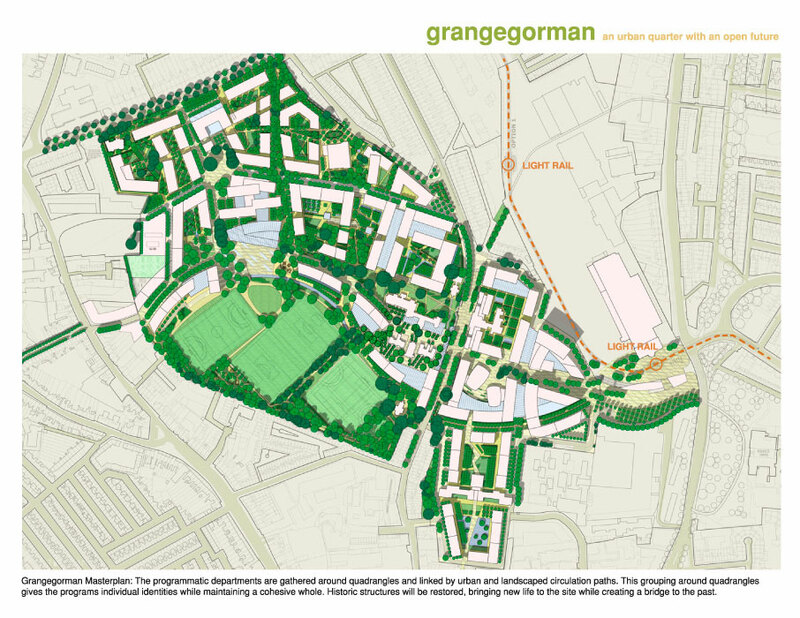 The 73 acre site was previously used by the old St. Brendanâ€™s Psychiatric Hospital and is located north of Dublinâ€™s historic center. 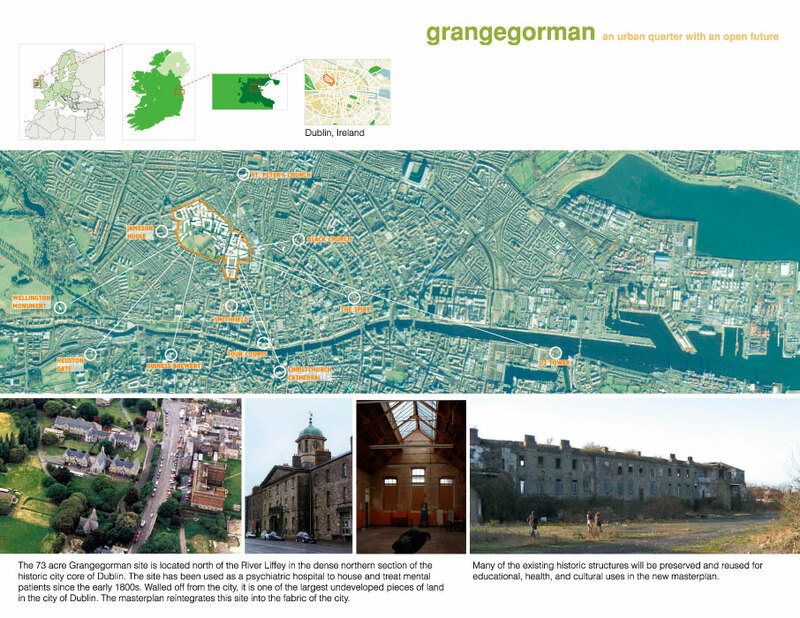 Walled off from the rest of the city since the early 19th century, the site is one of Dublinâ€™s largest undeveloped pieces of land. 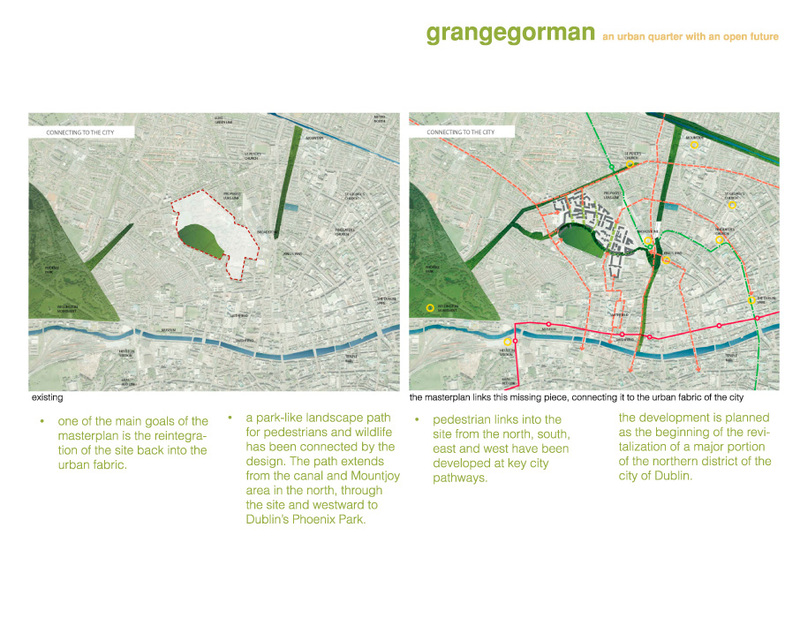 The masterplan reintegrates this hidden jewel of open space back into the dense urban fabric of the city of Dublin. 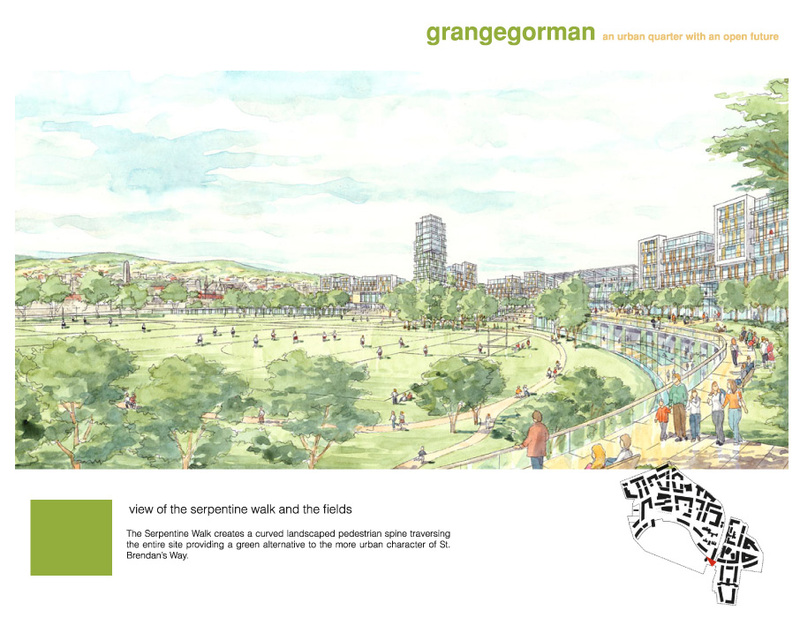 It was important to maintain links to the past by protecting much of the mature landscaping and open space as well as eleven existing historic buildings that will be revitalized with new programmatic roles. 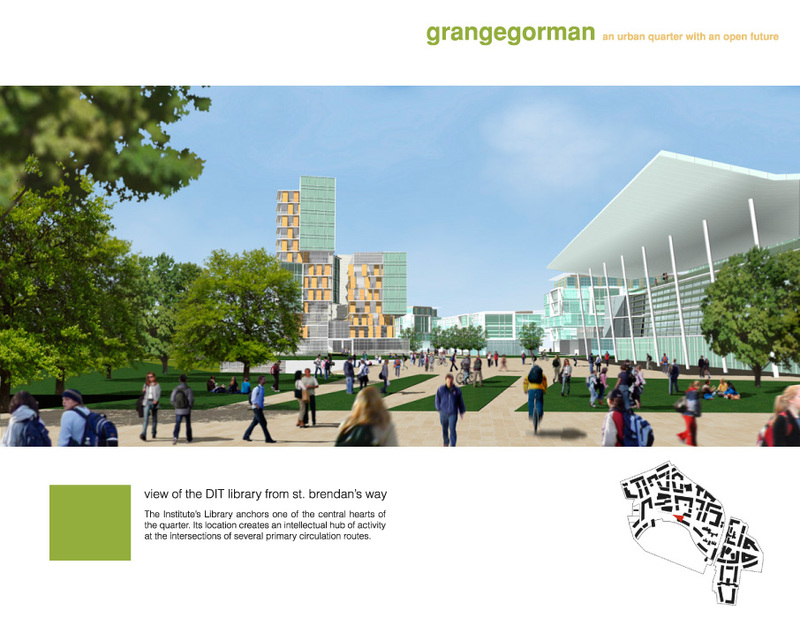 DIT plans to complete the move by 2011 when all of its 40 disparate locations will finally be accommodated on one single highly sustainable campus. 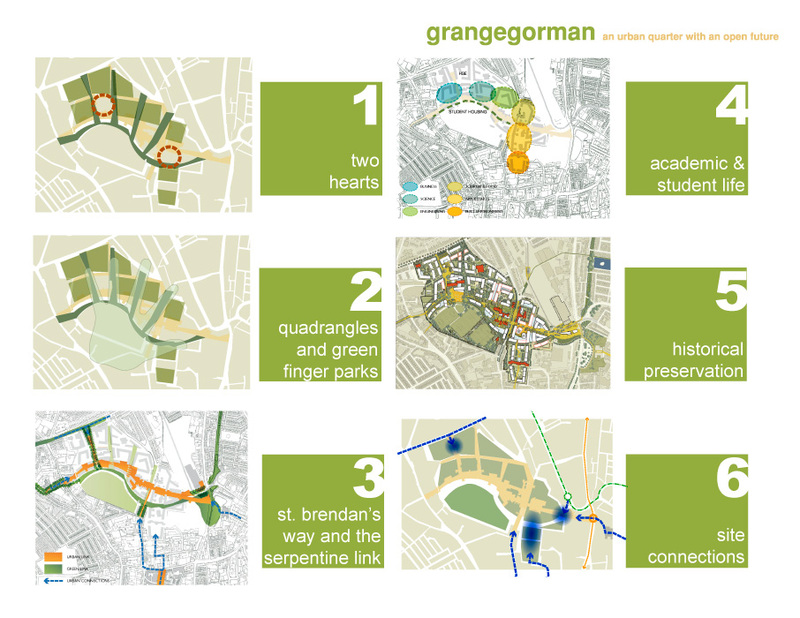 HSE will also have improved facilities that will serve the surrounding community.